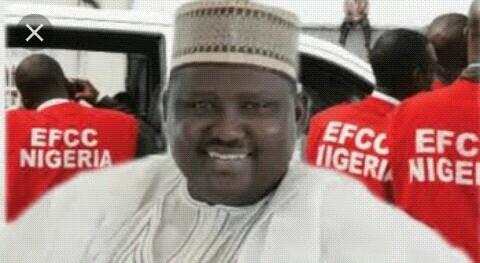 Gunmen, armed to the teeth and dressed in military fatigue on Sunday raided the Kaduna home of the former Chairman the Presidential Task Team on Pension Reforms, Abdulrasheed Maina. 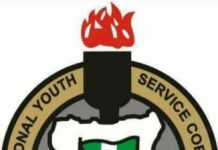 Maina Residents of Kano Street, Kawo New Extension, Kaduna where the house is located, reported that the gunmen càme in a Hilux van and were later joined by plain clothed men in another Hilux Van. 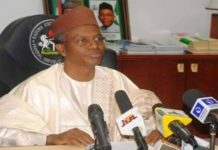 The Spokesman of the Kaduna State Police Command, ASP Aliyu Mukhtar confirmed the incident, saying that the Divisional Police Office in Kawo informed the command of the incidence. He explained: “We got a report from DPO Kawo regarding the raid on Maina’s house. But we are yet to confirm whether they are really officials of EFCC. Investigation is on going,” he told our correspondent on phone on Monday. An eyewitness told journalist that the gunmen began surveillance of the area at 5PM till at 8PM when another car (Peugeot 406 brand) with plain clothes security personnel, forced the gate open and drove into the compound. It was gathered that a security guard oñ the premises was handcuffed and asked to take them round the 4-bed room flat. The 22-year old guard, Ahmadu told journalists that the gun men kept asking him whether the house belong to Maina or whether he (Maina) was staying there. 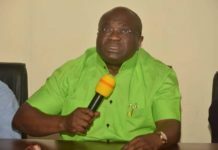 Ahmadu said the gunmen told him that they were from the Economic and Financial Crime Commission (EFCC) to carry out a search on the house for alleged hidden arms and ammunitions as well as cash (money). He said, “They came in military uniforms and Hilux van with another small car after they had forced the gate open around 8.PM. “They handcuffed me and started forcing doors to the bedrooms open, they turned everything upside down.